Welcome to my official website. Here, you can step into my creative world for a while because it's one busy little artistic space. I've learned that creativity and inspiration don't necessarily operate on any time clock, so you have to be available and willing to give way to that. And I've tried to do just that—just go with it. Anyway, thanks for stopping by. I hope you come back real soon! My first experience at writing a novel came my junior year of college. I had not long before read Terry McMillan's Waiting to Exhale and loved every minute of it. Then there was the incident involving a birthday party that my roommate (at the time) and some of our dorm mate's were throwing for me. All the bickering during the planning of that party frustrated me so that I took out pen and pad and began to write. Somehow it took the form of a story about six girls who met in college and their relationship, ups and downs, joys and pains, and I called it Love You Like A Sis (LYLAS). Oh, they did a write up of me and my novel (photograph, synopsis, and all) in the school paper-"The Southern Digest"-with the closing remark that it would be coming to a bookstore near you or something to that effect. Suffice it to say, some twenty-two years later, that manuscript is in a box in the bottom of my closet—I suspect…collecting dust. The one thing that that writing experience did do is made me realize that I am a writer, and if I could write that novel, I could write another. I tend to prefer stories sometimes because you don't have to invest as much time in making sure that you've stuck with the plot 200 pages into the writing. Stories are succinct. They force you to see the beginning, middle, and end in just a few pages, and that's the real challenge—knowing when to quit or where to begin. Sometimes I don't have a novel's worth of creative ideas swimming in my head, only ten pages worth. Write a short story then. Sometimes a character is not completely developed in my head, but enough to tell a story. Then write a short story. And sometimes I just want to leave the reader begging for more. Again I tell myself, write a short story then. I began writing poetry in high school. However, I was exposed more to the genre in college, during which time I came to appreciate such poets and writers as Keats, Angelou, Hughes, Wheatley, Poe, Milton, Eliot, Whitman, Marlowe, Dante. Poetry is a form of expression that many people try at least once, and I've been writing poetry long enough to know that the first time you see one of your poems in print, you are likely never to put it down. I received a B.A. in English from Southern University in Baton Rouge, Louisiana, and a M.A. in English and Technical Communication from the University of Alabama in Huntsville. When not writing poetry or fiction, I also enjoy singing and songwriting, designing web sites and digital/graphic art, animating, speed painting, and taking up photopraphy. I currently reside in Houston, Texas, with my husband and daughter. In my spare time, I enjoy social networking, antique shopping, boating, motorcycle riding, golfing, and watching sports. Marti Lumbard Johnson is a 35-year-old schoolteacher from Baton Rouge, Louisiana, who – after his father committed suicide twenty years ago – changed his name from Martin to Marti because he did not want to bear the name of a man who he believed was a coward, his father. Yet Marti has spent much of his life subscribing to lessons and views instilled in him by his father, one of which is his questioning the existence of God. When his co-worker of nearly four years, Leslie Mitchell, turned best friend, and consequently, the woman with whom he falls in love, but who has never expressed any romantic notions toward him, comes back from summer vacation a Christian, Marti is forced to confront his own spirituality. However, he first finds distraction in the lovely Sasha, a beautiful woman who is ten years his junior. 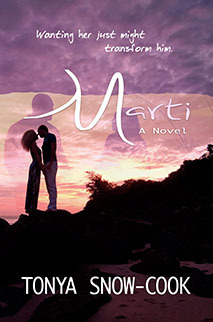 Marti is the story of divorce and estrangement and forgiveness and most especially, love, the need and desire for love—the love of a good woman, love of family, and the love of God. What happens when you've been keeping a secret for so long, it begins to haunt your thoughts, dreams...your very way of being? For Linda, what she's kept hushed for the past seven years has emotionally and psychologically paralyzed her to the point that she questions her own sanity. It's a race against time to stop the madness and get her life back. 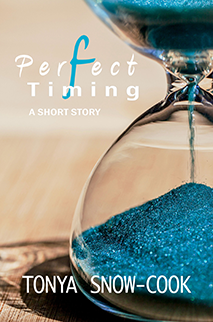 Read "Perfect Timing" to find out how the story unfolds. "The suspense was right on target and that element of surprise very welcomed." 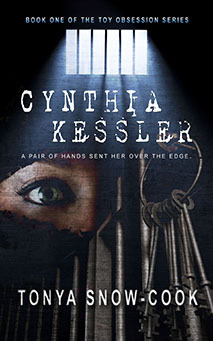 "I loved this short story...the ending left me curious and wanting more." I think this book is inspired a great deal by the works of the poets and writers, such as Keats, Angelou, Hughes, Wheatley, Poe, Milton, Eliot, Whitman, Marlowe, Dante, who I’d read during both my undergraduate and graduate studies, majoring in English. An English background coupled with my life experiences and a God-given talent to take words and tell a story through verse and prose resulted in the creation of Wandering Places. 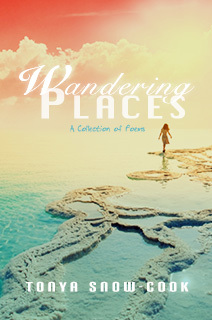 There is a pun on the word “wandering.” After reading the book, you’ll find that I’ve written poems not only about physical motion (i.e., walking, drifting, floating, traveling), but also poems about how the mind “wonders” about [or attempts to resolve questions about] or reflects on all sorts of things like love, death, childhood experiences, or life experiences in general. What is life if not a journey: physical, mental, and spiritual? To reflect my moods of inspiration, this collection of poetry is arranged into five thematic sections: Strolling Thu Wonderland, Black-Eyed Peas & Collard Greens, The Art of Life, Chocolate Shakespeare, and That's Amore. 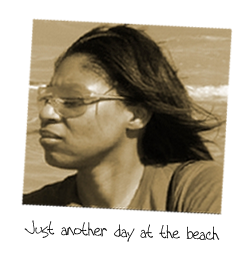 Sometimes I was inspired by my African-American roots and Southern upbringing. Other times I heard Keats or some other poet of the past whispering in my ear. Then, there’s the plain ole love for writing, and most times that was enough to inspire a line or two or twenty. Writing this series has been a thrilling adventure for me, having to maneuver the stories in such a way that it feels like a car chase. Each book is available on Amazon in eBook and/or Paperback format(s). Click on the icon underneath the coverart to access the product page for the available format. Fill out the contact form below. I'd be happy to hear from you. Sign up now to get the latest news and exclusive content!